Two-factor authentication protected WordPress login pages can be bypassed because of certain unsafe NTP practices. The Internal clock of remote servers can be manipulated under the right conditions. 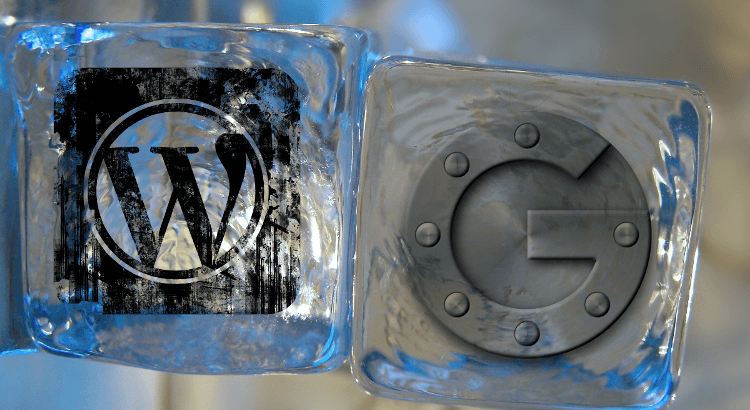 Because certain WordPress Google Authenticator plugins also rely on the local timestamp, it opens up new ways to circumvent the user authentication process on the /wp-admin dashboard. 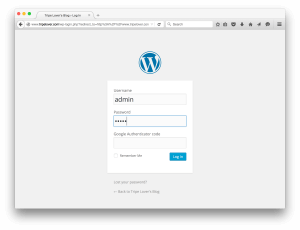 In the second part of the series, we demonstrate a practical attack against two-factor protected WordPress login pages. We are going to gain access to the dashboard without having access to the token generator app. 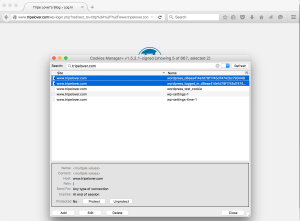 To put the theory into practice, we are going to bypass a WordPress dashboard login page protected by a favored third-party two-factor authentication plugin. The network is quite simple as each Ubuntu VM is on the same subnet. It is a new tool developed for this project. WPBiff brute-forces two-factor protected WordPress dashboards by iterating through every possible 6-digit Google Authenticator TOTP token. It supports two plugins: Google Authenticator and WP Google Authenticator. 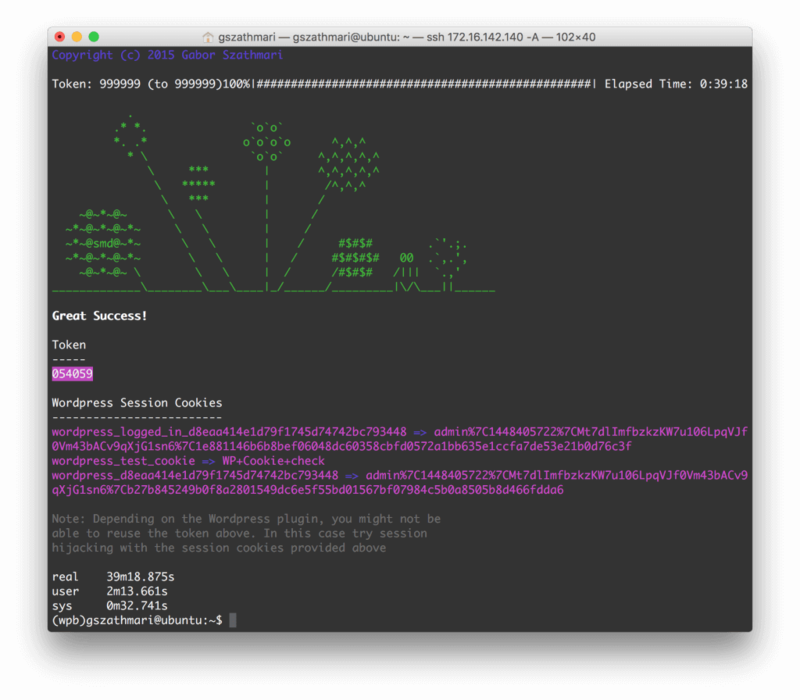 Packages are available from PyPI and the source code is on GitHub. In order to make this attack working, three preconditions must exist. Firstly, we assume traffic is intercepted by the attacker (man-in-the-middle), who tampers with the NTP traffic. In order to simulate this, we modify the /etc/hosts file on the WordPress server. The second assumption is the sysadmin runs ntpdate every minute from the crontab to synchronize time. We have already seen that many people follow this practice. 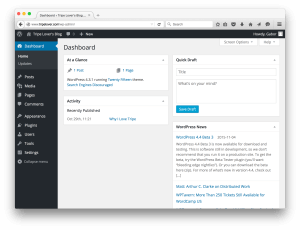 The last one is that we already possess the login username and password (admin/admin) to the WordPress dashboard. In real life, the credentials can be obtained by phishing, key logging or exploiting password reuse. 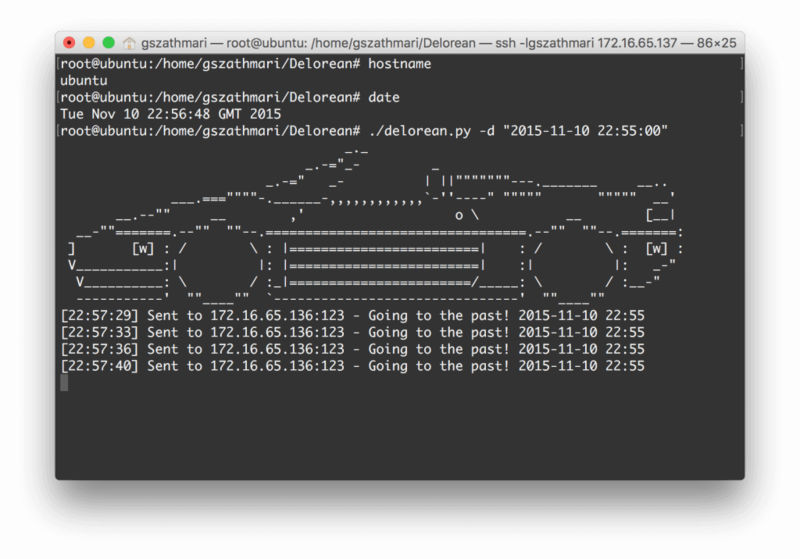 As the first step, we spin-up Delorean to serve a bogus timestamp over NTP. WordPress will connect to this service every minute, and makes server time to roll back to the preset value. In parallel, we fire up WPBiff on the other VM. We set the WordPress username, password, the same timestamp and the target URL. WPBiff starts monitoring WordPress and launches HTTP POST requests to the login page when the clock is rolled back successfully. After WPBiff running for 39 minutes, the utility successfully finds the valid 6-digit token. It also dumps the valid session cookies for the /wp-admin dashboard. An additional three tests managed to get the token in 51, 57 and 83 minutes respectively. We have demonstrated that brute-force attacking against two-factor authentication becomes a viable operation if internal clocks can be tampered with. 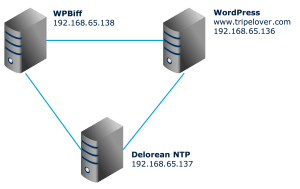 By simulating a man-in-the-middle situation, we were able to manipulate the clock of a WordPress server with a bogus NTP service. As the two-factor authentication WordPress plugin relies on the TOTP algorithm, the same 6-digit verification token became valid again and again. We exploited this situation by attempting to log in with each token from 1 million possible variations. The daunting task of brute-forcing had been automated with a new tool named WPBiff. In the end, WPBiff managed to guess the verification code under an hour, so we were able to access the WordPress dashboard ultimately. I want to thank Jose Selvi for his research as well as his kind help that helped me finishing the article.